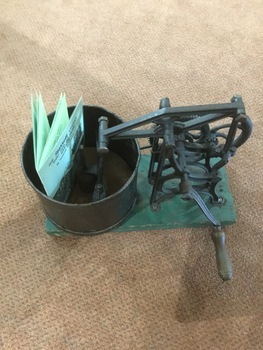 Starrett cast iron mechanical food chopper with tin barrel, on green wooden base. With booklet. Mechanical food choppers or hashers (commonly called in the U.S.A.) were used around the 1880's to chop up food.